Was the BEST EVER !!!! Hello my dear reader, I hope you are sat comfortable as I have a mammoth post for you today. I am trying to comprehensively relate a full weekend of activity in one post. Then for me, was a quick change of clothes and straight back out for a Special Reception. This is an exclusive event based on performance. 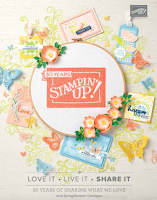 Stampin’Up! are masters at spoiling you and this event was no different. The room was beautiful and each of us received a beautiful gift, we listened to some great presentations and got a chance to think about the goals we each set for the following year. I know, Convention barely started and I felt like I ran 2 marathons already. The evening went so well and everyone had such a good time, sadly I was so busy I never took one picture!!! I do however have some pictures of the projects I prepared for them all. I LOVE this cute stamp set and decided to make it part of my gift for all my direct team members so I designed the make n takes around it. The second project is a clever gift card holder and I found the tutorial HERE. We finished off the night with a game of bingo, which I managed to rigg so that everyone won at the same time :) It was great fun and everyone’s faces were full of HAPPY. Definitely a great start to what was going to be an AMAZING event!! I will show you the cute Bingo cards I made using MDS, this game will be perfect for a bit of fun entertainment at Christmas. They didn’t take long at all what took the longest was figuring out an simple way of making sure everyone won at the same time. And after 5 hours of fiddling the easy finally popped into my head . Doesn’t that make so much more sense? she used a chalk marker to draw boxes around and on the front of the die there were the measurements as well. Admire 800 people all dressed up for a night of awards followed by a fabulous party. Here’s a small portion of them, they are the ones that got the BEST DRESSED awards :) and I love them all. Realised the business never sleeps :) not even when you party !! And if you wish to join us contact me, we’re going to Belgium next year and I know it will be even better!!! Thanks for your lovely update - it certainly looks amazing from the photos.